Finger puppets are a great way to improve your child’s communication skills and creativity. They allow your child to freely express their imagination and can even improve their social skills when playing with others. And to make finger puppets more educational, you can help your child make their own finger puppets out of paper. By creating your own finger puppets, children can draw their own characters that help express their feelings. 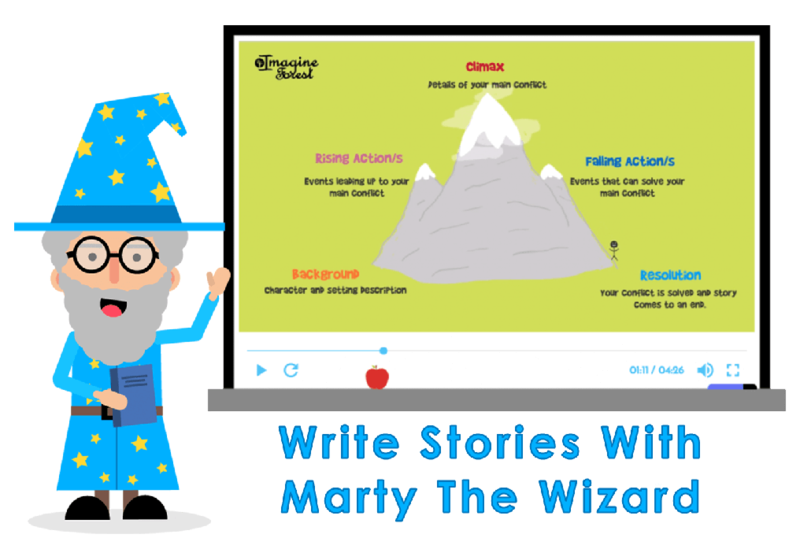 And even create their own scripts for different scenarios which not only improves their creativity, but also improves their writing skills. 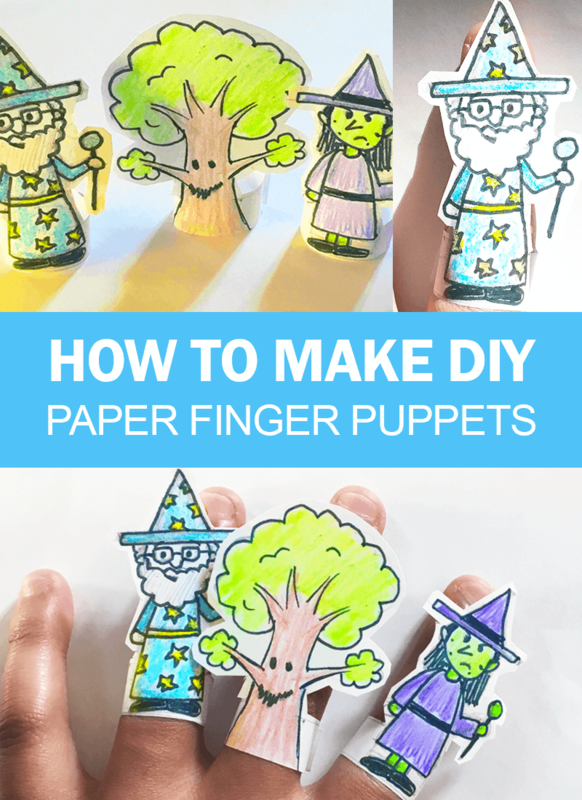 This step by step tutorial will teach you how to make paper finger puppets the fun and easy way! To make a paper finger puppet, you will need paper, a pencil, scissors, ruler, blue tack/glue and colouring materials. 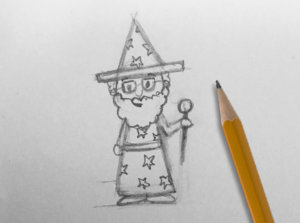 Draw your character on a piece of paper. In this step your child can go wild with their imagination. They can draw their own monster, person, animal or anything else. 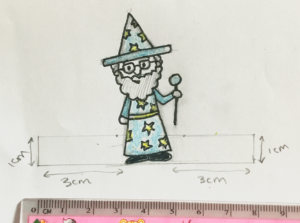 We recommend drawing your character 6 cm tall and around 2 cm in width. Please also leave enough space on both the left and right hand side of your character (3 cm). Colour in your character and add in any details. This is the fun part, colour in your character and add in any finishing details. You can use any colouring materials you like. We used a black felt tip pen and some pencil crayons. 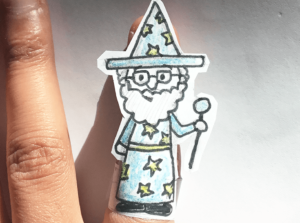 Turn your character into a finger puppet. 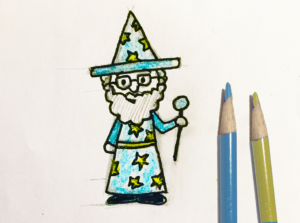 To make your character into a finger puppet you’ll need to add wings at the bottom, so it can fit around your finger. Make sure your wings are long enough to fit nicely around your finger. Make the wings 3 cm wide and 1 cm tall to secure nicely onto your finger. Ask an adult to cut around the paper finger puppet. Once the adult has cut your finger puppet out, you can try it out by wrapping it around your finger. Once it fits perfectly, you can secure it in place with some glue or blue tack. Continue making more paper finger puppets. You don’t need to stop at one, you can make a whole family of cool and fun paper finger puppets. 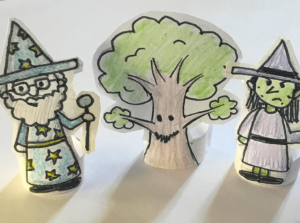 And you can even go one step further and set the scene for your characters, by creating a paper background for your paper puppets. 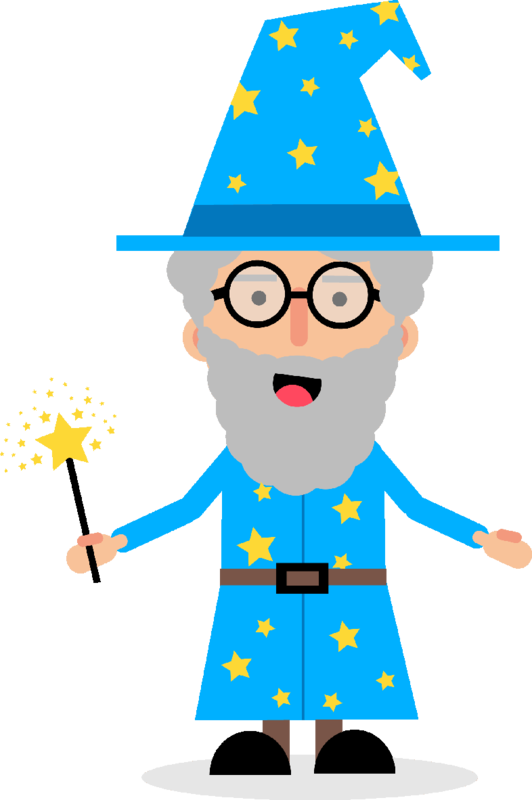 Get Your Free Finger Puppet Templates! 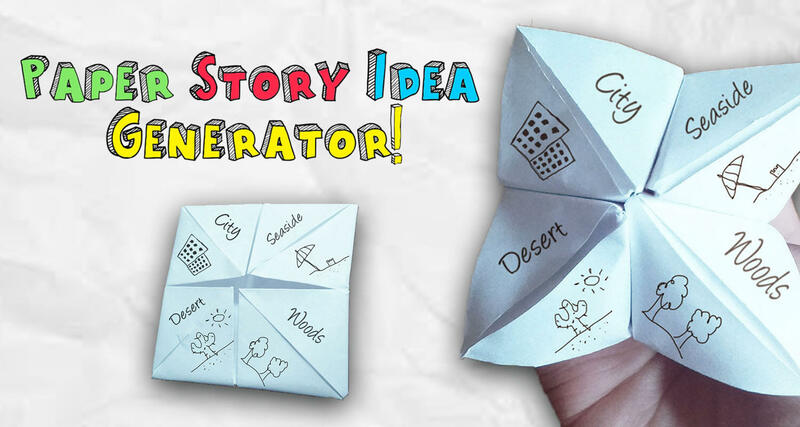 Don’t have time to create your own paper finger puppets? 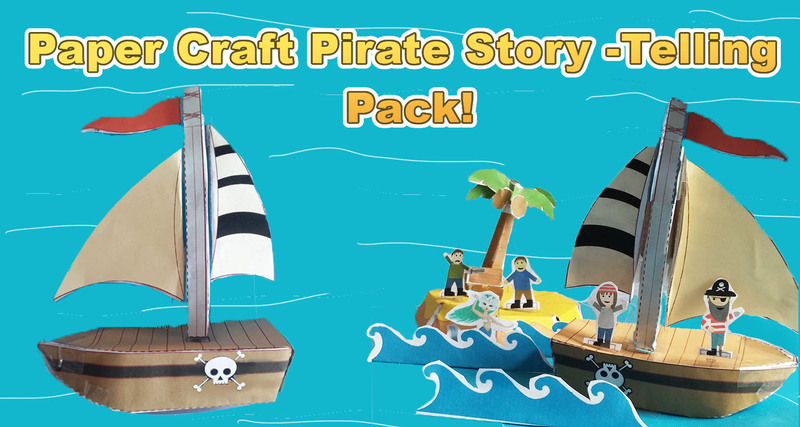 Don’t worry you can download our Red Riding Hood finger puppets and Pirate Island finger puppet set. 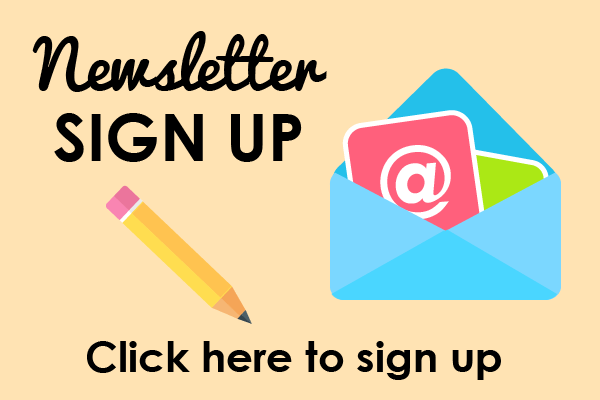 And if you really love finger puppets, why not sign up to Imagine Forest for free today? 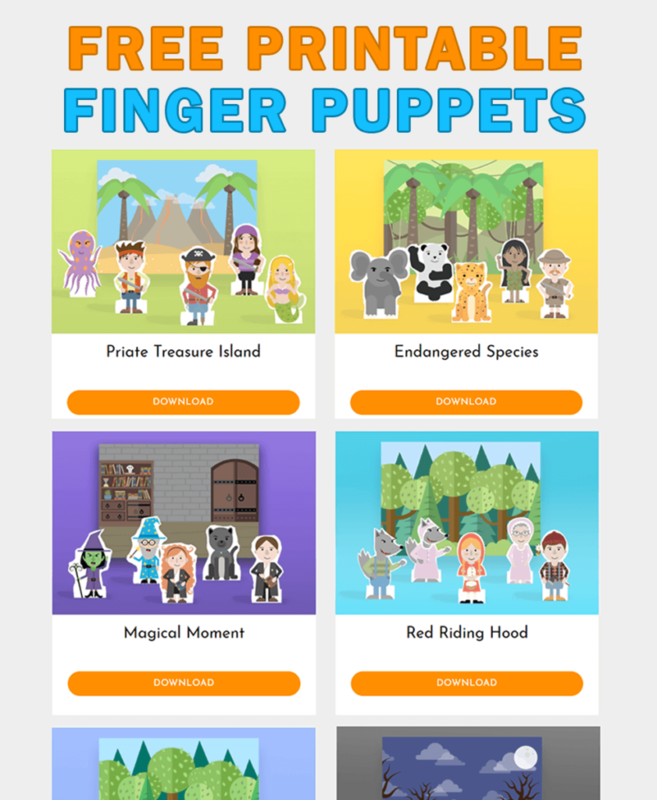 We have a whole collection of finger puppets that you can download for free anytime you like!